We can upgrade your existing speed governor – which may be mechanical, electronic obsolete or hydraulic – with a digital controller equipped with protection, communication and alarm functions. We can upgrade your control system to automate the variations in power that your generator supplies, such as when it is in parallel with the grid. This allows your generator to give more power at peak times, providing a more cost effective supply of power to the load. 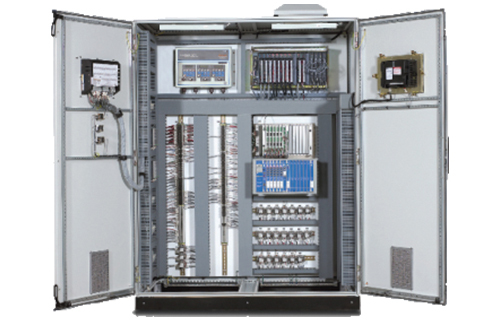 When two or more gensets are in parallel, Miami Switchgear can provide a controller which is the same as the load control, allowing you to automate the way the load is shared between the machines based on their capacities. Our solutions also include changing your electronic voltage regulators with digital versions, allowing you to maintain voltage output where it is desired, or have power factor control. In case of extraction turbines, we can optimize your control based on the load demand of your process, allowing you to generate more power when the process needs less steam. When you have generators in parallel with the grid or several in parallel between them and there is a manual control of the synchronizing process, we can provide an upgrade that automates that process to have a smoother synchronization, preventing the machines from suffering and eliminating human error. Our upgrades to your controls can also help those machines that do not have good overspeed protection, avoiding chances for it to tear apart and cause damage. Your actuators need to be change in order to work with modern controls. We provide upgrades so they can be controlled with precision for an optimal system. Changing your obsolete, or near obsolete, lubrication systems is part of making the turbine more efficient which can significantly save money in your operations. With how critical temperature is in indicating when something is going wrong, we help upgrade your temperature monitoring system as part of the predictive maintenance which extends the turbine’s life. We provide generate protection upgrades so that when a fault event occurs, your generator to controls communication provides the opportunity to take prompt action. Vibration can shorten your turbine’s life, so we provide enhanced vibration monitoring upgrades to more clearly assess how to operate with less vibration. We can provide upgrades that allow you to control and monitor your power generation systems. Our control solutions also include communication retrofits that enable your systems to react and make the right decision at the right time.